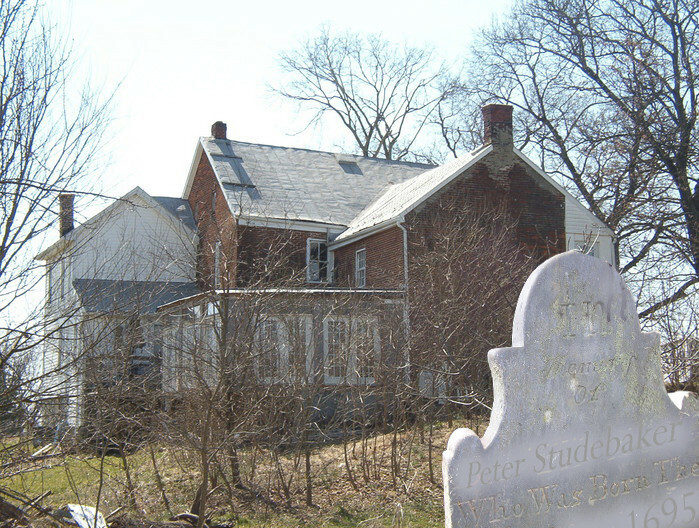 The remains of over 100 descendants of the Studebaker family and The Long Family are in this family cemetery, including Peter, Heinrick and Clement Studebecker. 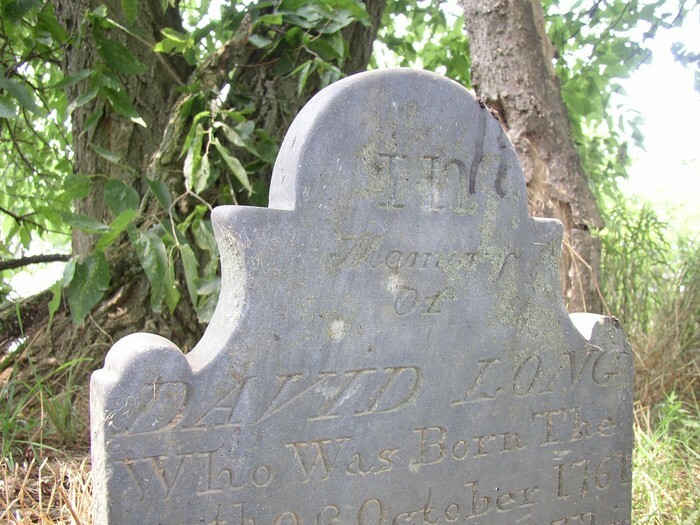 We are researching the information to match and add headstones to all family members and others buried here. "There is a romantic, nostalgic, pleasantly melancholy feeling to old cemeteries that is hard to define but easy to experience. Perhaps it is because we can feel the direct link to our past that no history book, no movie, no historical fantasy can ever convey. These stones and these unkempt grounds are the hard evidence of lives that came before us. Once, these people lived and breathed, loved, worked, fought, hoped and despaired, and experienced their triumphs and failures just as we do today. And although we seldom care to acknowledge it we will enevitably go where they have gone." Bakers Lookout, (above) with reproduction of headstone placed where the remains of bodies lie. 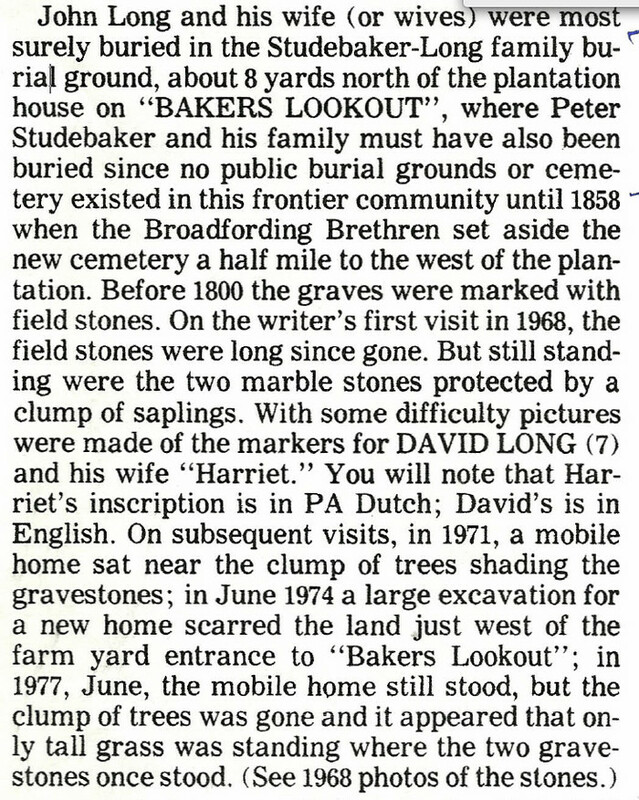 Page 6 of Eugene Studebaker Wierbach's book, The David Studebaker Story, published April 1, 1969 writes that Peter Studebaker is buried in Bakers Lookout and describes the Bakers Lookout cemetery location, "On a slight rise to the left of the house is a small burial plot. 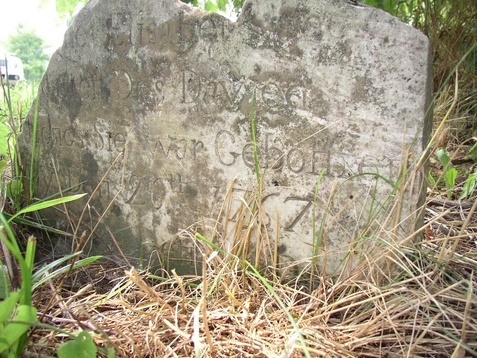 In it are a number of rough and unlettered field stones..."
Harvey Lawrence Long, whose family lived in Bakers Lookout, 1751 through 1859, described the location of the Studebaker-Long cemetery as "8 yards north of the plantation house on Bakers Lookout." On this same page, Harvey also indicates when he returned to Bakers Lookout that the stones he had viewed on his previous visit were no longer there. We are in the process of restoring the 270 year old Bakers Lookout cemetary. The two headstones represent the remains of two ancestors and family of Peter Studebaker buried in Bakers Lookout family cemetery. We are compiling a complete list of all those who are buried in this cemetery to put a name to all those speaking to be remembered as in the quote above.